No, it’s not an elaborate stunt produced for a David Copperfield TV special (is he still around, anyway?). This slight-of-hand was carried out by the rabbinate of the Israeli Army (IDF) who, in illustrating a booklet about Chanukkah observance, found the Dome of the Rock and the nearby al-Silsila minaret looming over the Western Wall a bit, well… inconvenient. Not to worry, though. Just start with a rather atmospheric image, have a go with the airbrush tool in your favorite photo editor to add a bit of fake fog, and… PRESTO! — No Dome. 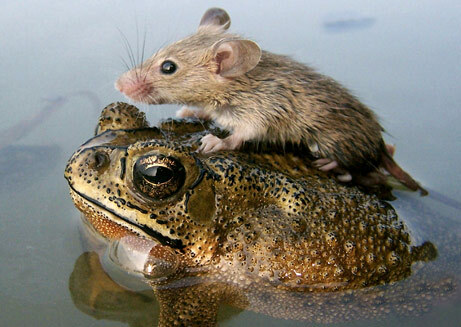 Some may find this sort of thing heart-warming and inspirational, and others (like me) a bit chilling. 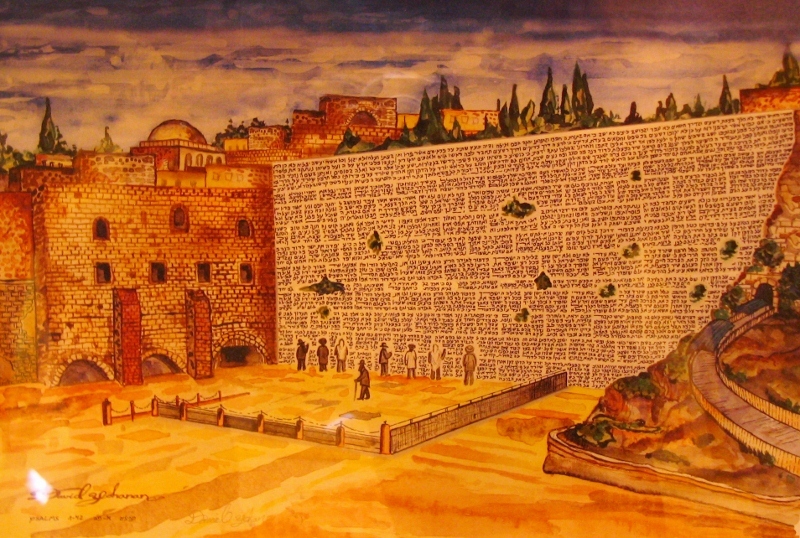 At the same time, I have to remember that religious Jews have prayed every morning, for hundreds of years: “May it be Your will, L-rd our G-d, and G-d of our fathers, that the Holy Temple be speedily rebuilt in our days.” Even though it’s not in the Bible, that must be pretty compelling, especially when your people have established a sovereign state in their ancient homeland and exercise more or less total control over Jerusalem. What are we to make of it all? It’s all in one’s perspective, I guess. 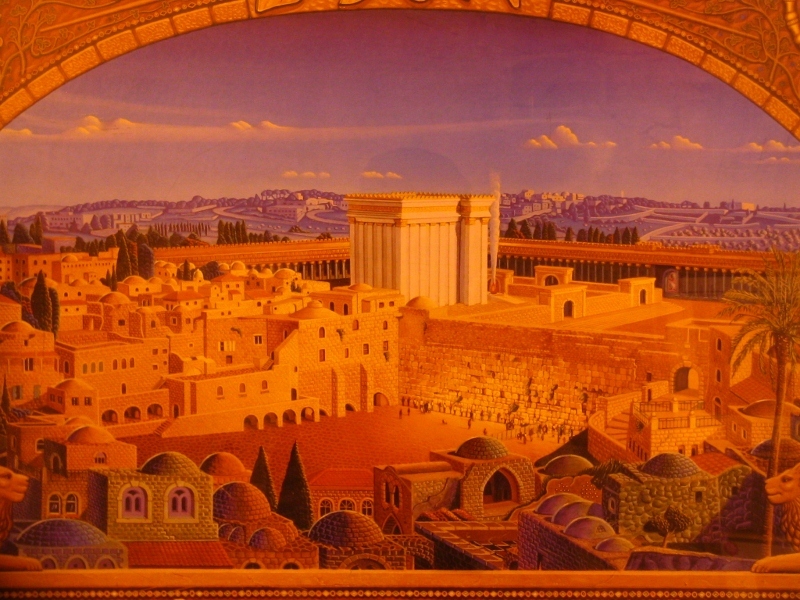 From a purely Christian perspective, I find the obsession of some believers with a “Third Temple” an unnecessary, unhelpful and un-scriptural diversion: Consider that — even though I don’t pretend to understand all that the passage means and implies — the writer of Revelation, in Chapter 21, is envisioning a “NEW heaven” and a “NEW earth” and a “NEW Jerusalem”, which, yes, is “coming down out of heaven from God”. But wait… “I saw no temple in the city…”! Why? “…for its temple is the Lord God the Almighty and the Lamb.” End of sermon. Soon, a rumor spread that the gift lacked several key elements. 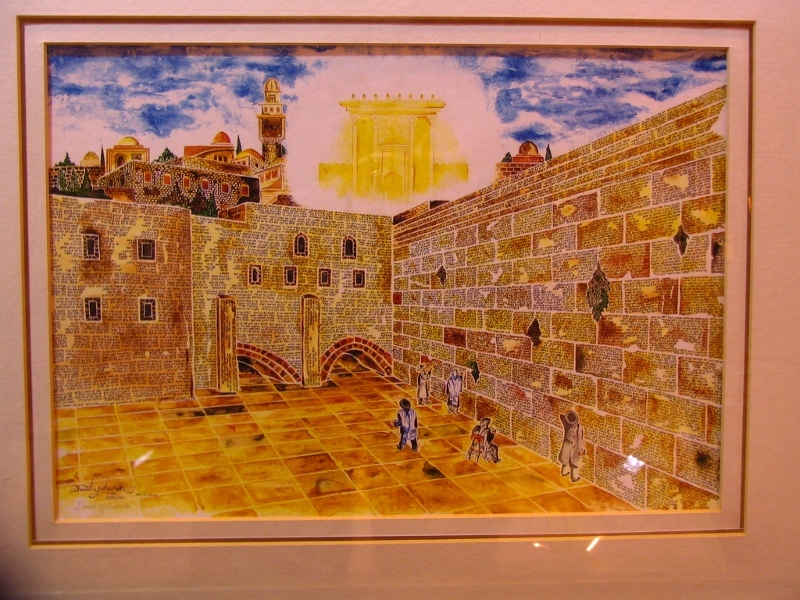 Haaretz reporter Joseph Algazi called the archbishop, who acknowledged that the Muslim holy places, the Al Aqsa mosque and the Dome of the Rock, did not appear on the engraving. 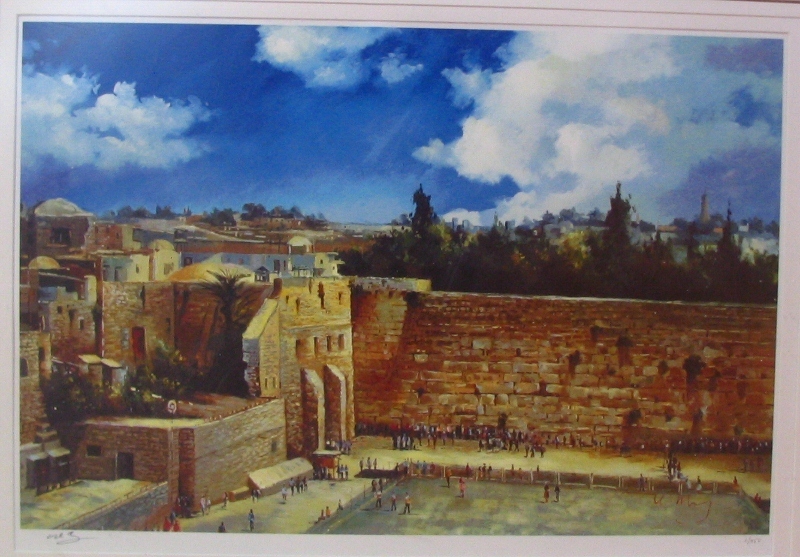 Instead there was “an approximation of the Second Temple,” a Jewish holy site. I have searched on-line but have been unable to find a picture of this object, so on this I must withhold judgment (just a tiny bit). 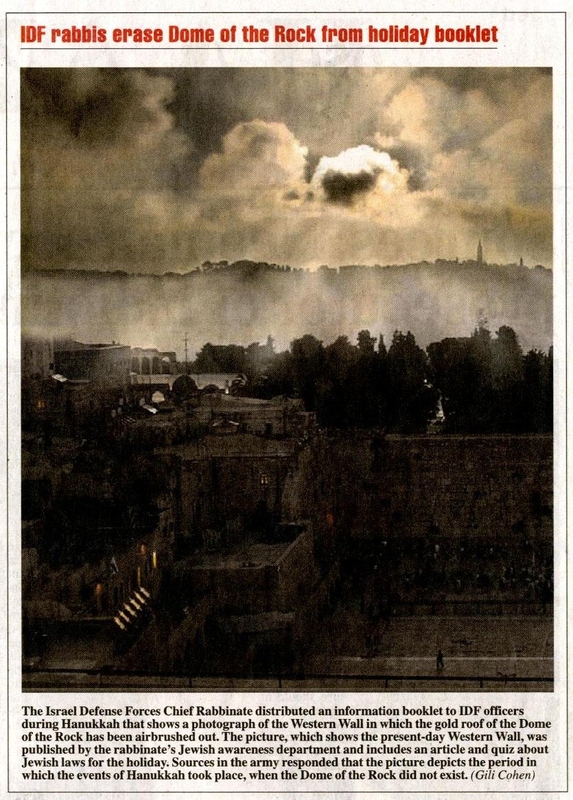 That’s right, even though it’s “only” a painting, they have managed to “airbrush out” the thousands of Jewish graves covering the southern slopes of the Mount of Olives! Now, if I were completely given over to cynicism, I could just shrug this off and say “turnabout’s fair play”. BUT, if Jerusalem is to ever have a just resolution of its issues and the competing claims of its various peoples, it’s NOT going to come through airbrushing the “other” out of history or off the map. It’s not helpful and it’s not legitimate — whoever does it. 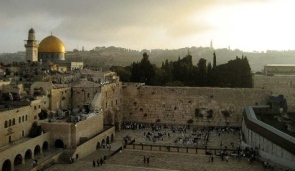 America’s ambassador to Israel, David Friedman — nominated by President Donald Trump and approved by the Republican-dominated Senate in 2017 — has now gotten in on the “Disappearing Dome” act, as recipient of a doctored aerial photo complete with the standard replacement Third Temple. See the story in Haaretz HERE. 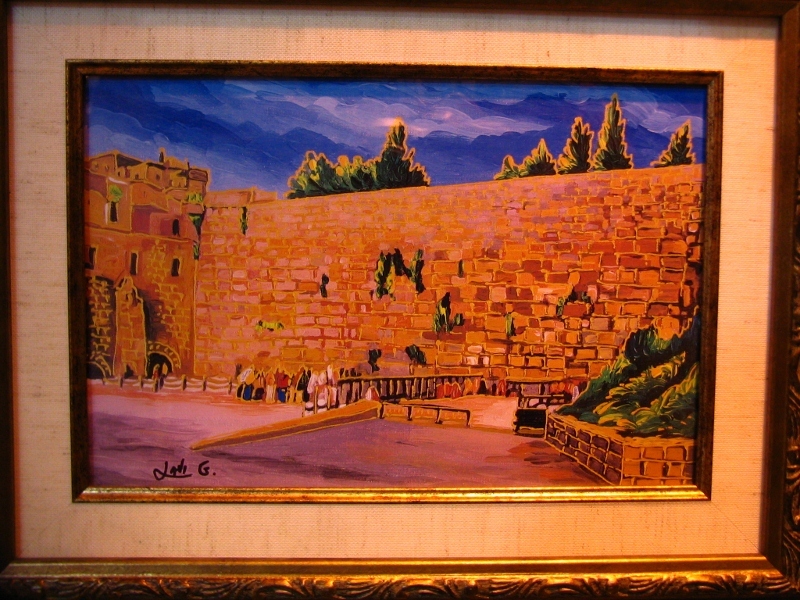 This entry was posted in Haram/ Temple Mount, Israel-Palestine Scene, JERUSALEM, Photography, Politics and tagged Art, David Friedman, Dome of the Rock, Haram al-Sharif, Jerusalem, Photography, Temple Mount, Western Wall. Bookmark the permalink.